Allan Amor Kaicho’s presence at Spring Karate Camp is highly appreciated by all. He is the founder and head of the United Ryukyu Kempo Alliance and teacher of teachers to its affiliated dojos. Since we’re almost half the country away from his headquarters, we don’t get to train under Kaicho very often. It’s a special occasion when we do. And we learn a lot from him. 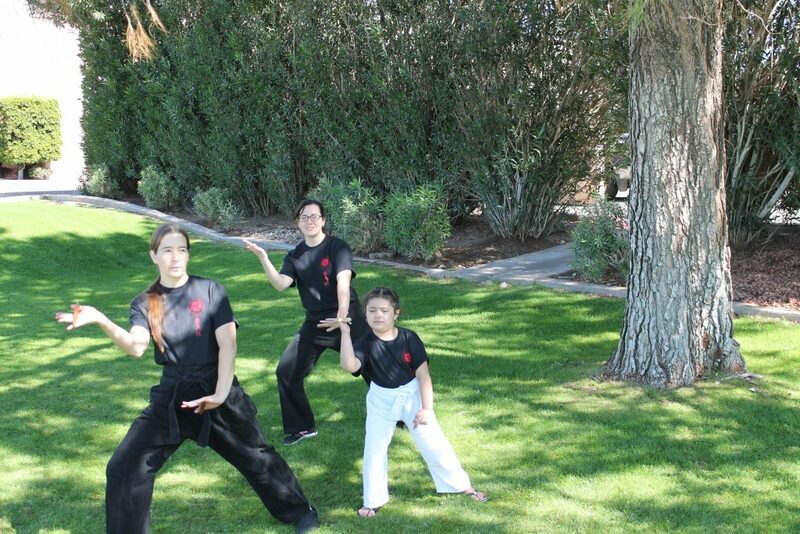 The Arizona Spring Karate Camp offers many less-practiced ways of training. We enjoy them all. From pairing off with partners you don’t usually get to work with to training outdoors in the beautiful weather. The practice is not your every day training either. 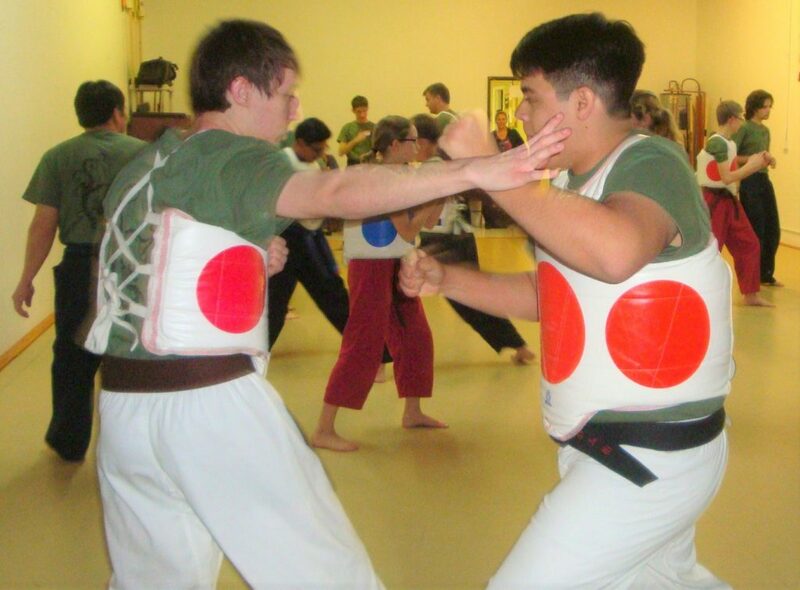 Padded weapons sparring, groundfighting, tuite, kanji and throwing stars are just some of the ways we enjoy a large variety of martial arts workshops throughout the camp. We love spending time together at Spring Karate Camp with all of the people who have many interests in common. As one instructor puts it, “It’s like a family reunion with people you’re not related to.” But the martial arts give us a lot to compare, enjoy, and talk about. We get to know our dojo mates – both students and instructors – better. We also enjoy meeting, hosting, and spending time with Alliance mates from out of state. There is hard work at camp, but there is also fun, relaxing time to spend together. Above, I touched on the unique training sessions and the hard work. Some of us older practitioners have physical obstacles when training for a full day. However, that’s not limited by age. Kids seem to have boundless energy, but we found the limit of that at one camp in particular. The good news is that after hosting 11 Spring Karate Camps, we have quite a bit of skill in balancing the schedule of workshops. We optimize them for learning and working out without bringing participants to mental or physical exhaustion. I didn’t personally experience this one. That’s because I didn’t attend Karate Spring Camp as a beginner to karate or to the U.R.K.A. But revealing the Alliance is my newest favorite thing about our camp. We had a couple beginner students attend and their parents said they really appreciated learning from the camp what the Alliance is about. Spring Camp gives a better idea of the widespread support and brotherhood found in the U.R.K.A. as we walk the path of traditional martial arts together. We also have had black belt instructors appreciate attending our camp as their first introduction to the Alliance. There is so much to enjoy and love about Spring Camp. If you would like more information about attending our upcoming camp, you can find it by scrolling down on our home page.